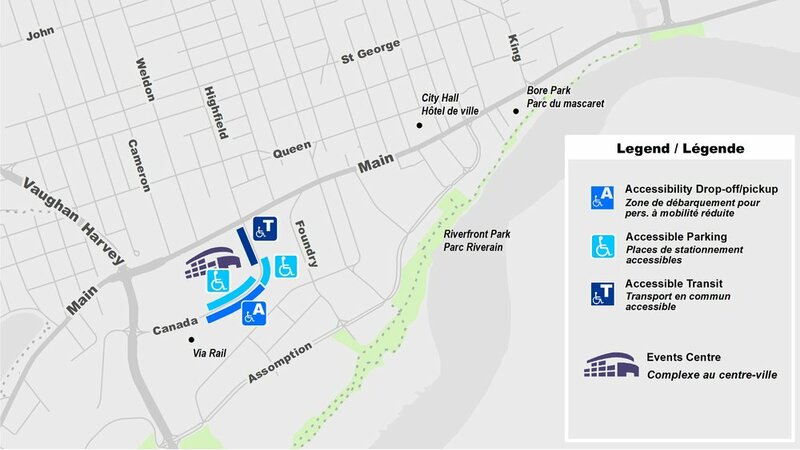 Accessible Parking: There are a number of accessibility parking spots on Canada Street for the new Events Centre. You can access these spots by entering Canada Street from Main Street. These are offered to patrons on a first come, first serve basis.